The Guild was well represented again at the Sydney Royal Easter Show. Kay Haerland won the Quilters’ Guild of NSW award for the best quilt in the show and it is displayed in the Standard of Excellence case. The Patchwork, Applique and Quilting categories in The Arts and Crafts Section were entered by many Guild members. Following, is a list of some of the Results, with successful Guild members marked by an asterisk. Congratulations also to our Template Editor, Wailyn Mar, who won 1st in Shortbread, 2nd with Panforte, 3rd with Damper and HC with Almond Bread in the Cookery section. And congratulations to any other members who have had success in other sections. As advertised in The Template Feb 2013, a hardcover book of photos of all quilts in the 2012 Sydney Quilt Show has been produced. This is indeed a professional publication and a delightful reminder of what was an extremely successful 30th anniversary members' exhibition. If you were an exhibitor or had any connection to last year's show, then this is a "must" for the coffee table or studio! The final date for ordering of this lovely book has been extended to 28 March 2013. The Order Form for this publication was in The Template. Alernatively, you can download the Quilt Show 2012 Book Order Form as a PDF. 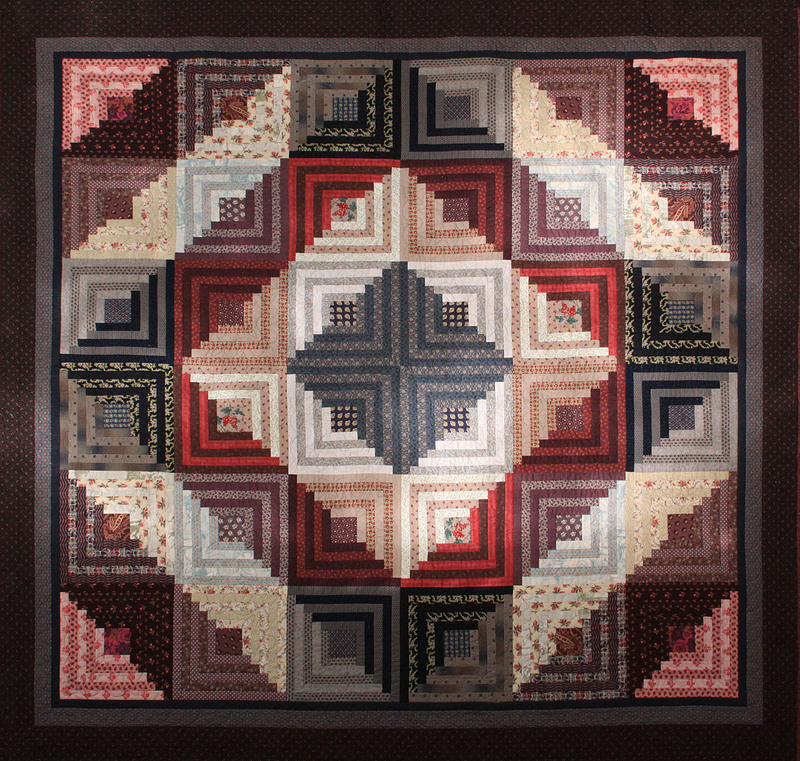 Come and enjoy a rare showing of quilts from a combined group of well known Quilters. Margaret Rolfe, Carolyn Sullivan, Judy Turner, Beth Miller, Ann Haddad, Helen Gray and Jenny Bowker have joined forces to present an amazing display of quilts representing their early forays into the Patchwork and Quilting arena, right through to the current endeavours that have brought them International recognition and success as either quilt artists, teachers and, or, authors. Entry will support Goulburn Anglicare and is only a gold coin. Morning and afternoon tea will be available in Mandelson's historic dining room. A maximum of two entries can be submitted, however if due to exhibition constraints only one can be accepted, please do not forget to indicate your first preference. The Payment Details Form with Credit Card details or a Cheque for your entry (unless entering in the Junior Category) must also be included. This photo must be labelled with the name of the quilt and the name and address of the exhibitor. The "top" of the quilt, for hanging directions, must also be indicated. Exhibition planning is well under way and it would be helpful if your Volunteer Form could also be returned to the Guild Office as soon as possible. The Quilters' Guild of NSW Inc will be having a display at this year's Stitches and Craft Show at Rosehill Gardens Racecourse. Come along and say 'hello' to fellow guild members at the stand showcasing our guild. 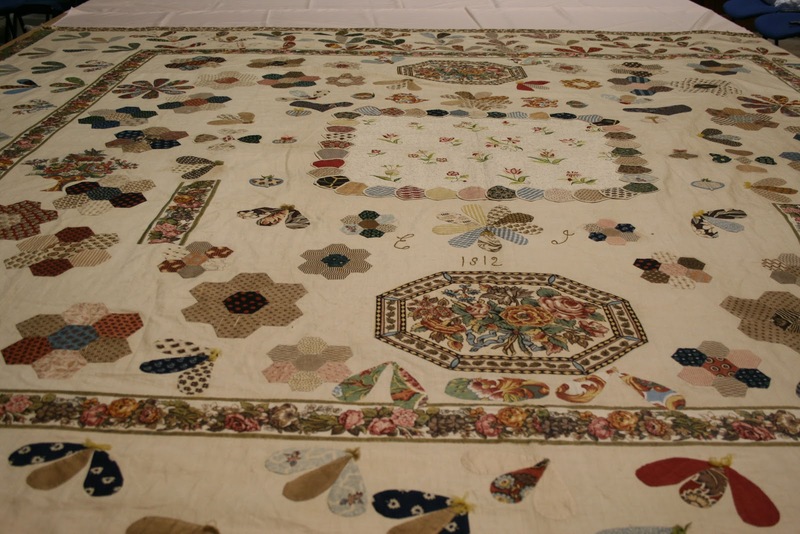 Please join members of The Quilt Study Group on March 9 at The Charles Kerry Room of The Powerhouse Museum to hear Guest Speaker Lyn Dennis talk about her recent research into Heritage Quilts in the UK. This is just one of the quilts that Lyn photographed and will talk about. Please bring your own English Heritage quilts, or recent reproductions inspired by the designs of such quilts for sharing in Show and Tell after the talk.